Weighing 175 lbs., this grapple attachment can lift up to 1,500 lbs. with a clamp force of 1,525 lbs. Designed with a grip range of 18 - 48 inches, a plunge depth minimum of 13 inches and a maximum reach of 14 inches. 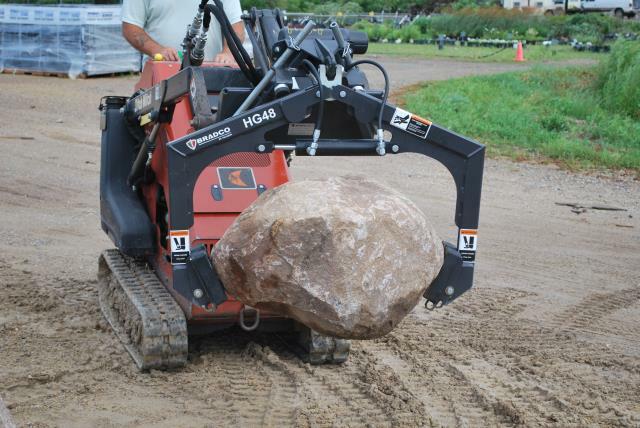 * Please call us for any questions on our hardscape grapple copmact loader rentals in Ypsilanti MI and Southeastern Michigan.